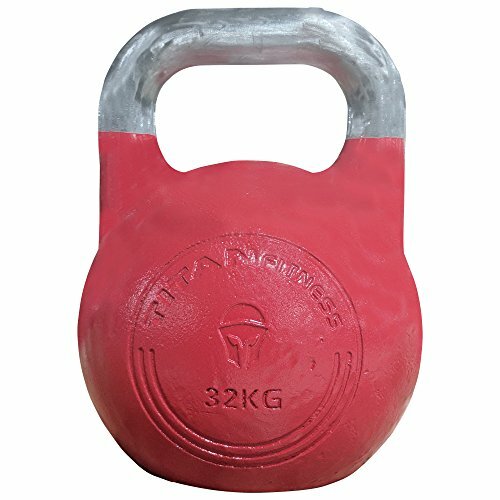 All of Titan's Competition Kettlebells are uniform in dimension and handle thickness, allowing you to train the exact same movement while also increasing or decreasing weight to cater to your routine. - Color coded in 11 unique colors for easy identification between weights. - Cast steel with non-welded handles for maximum durability. - Available in 18 different weight options from 8 KG to 48 KG to accommodate athletes of all skill levels. - Smooth finish for a great hand feel and grip while performing various exercises. - Handle Diameter: 35mm | 1.38"
- Handle Width: 190mm | 7.48"
- Total Diameter: 210mm | 8.27"
- Total Height: 290mm | 11.42"
Color coded in 11 unique colors for easy identification between weights. Available in 18 different weight options from 8 KG to 48 KG to accommodate athletes of all skill levels.